The ride-and-drive event Sunday in South Portland coincides with National Drive Electric Week. 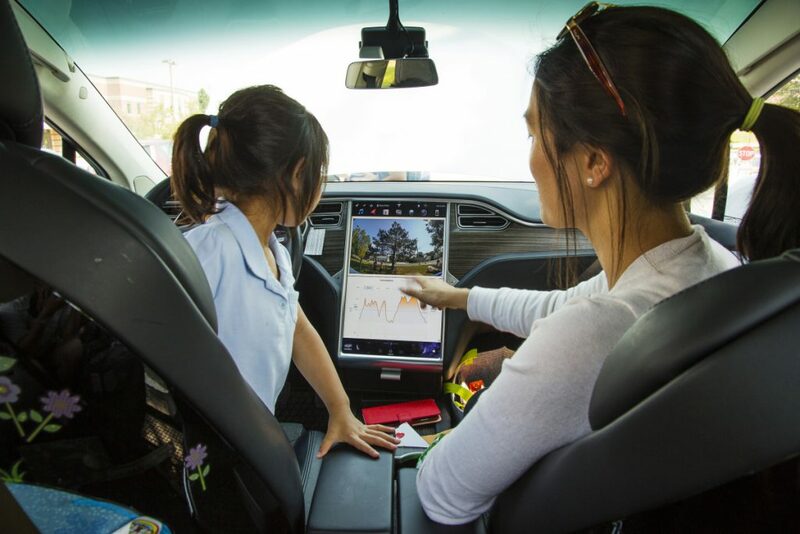 SOUTH PORTLAND — Khanh Ngo is passionate about his Tesla. 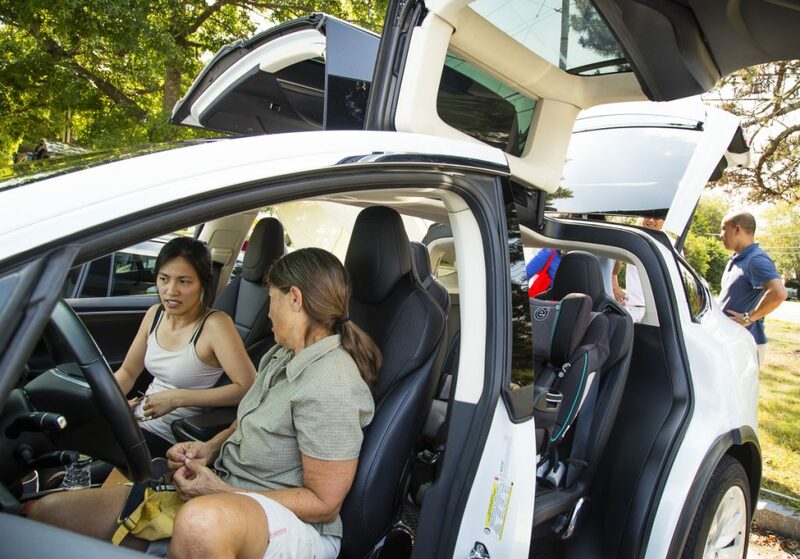 Standing in the shade at the edge of a parking lot, he eagerly showed off his Tesla Model X to prospective owners at an electric car ride-and-drive event at the South Portland Community Center. Ngo, of Windham, is one of a growing number of Mainers switching to electric vehicles to reduce air pollution and save money on gas. “It’s as simple as you plug it in, walk in the house and forget about it. Saving the environment is much more important than the two seconds it takes to do that,” he said. Ngo, who bought his current Tesla two years ago, said it’s getting easier to own an electric vehicle. The number of public charging stations available in Maine continues to increase and more car manufacturers are offering electric or plug-in hybrid vehicles in a wider range of prices. Tesla and Porsche electric cars can cost upwards of $100,000, but electric models made by companies like Fiat, Nissan, Volkswagen, Hyundai and Ford start as low as $29,000. 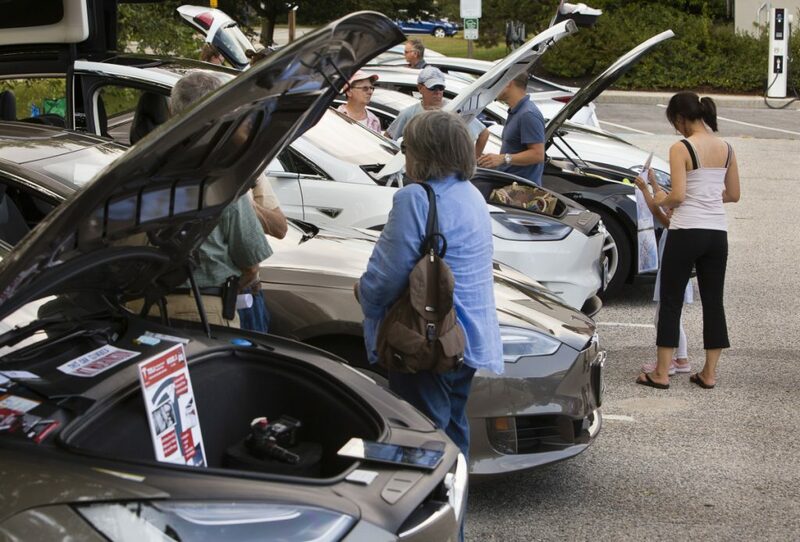 Sunday’s electric car event coincided with National Drive Electric Week and was organized by the Natural Resources Council of Maine, Central Maine Power, ReVision Energy and the Greater Portland Council of Governments. 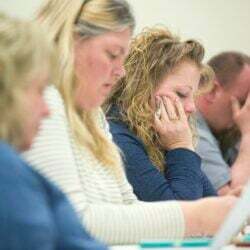 It was the fifth time the event has been held in the Portland area and followed a similar event Saturday in the town of Norway. 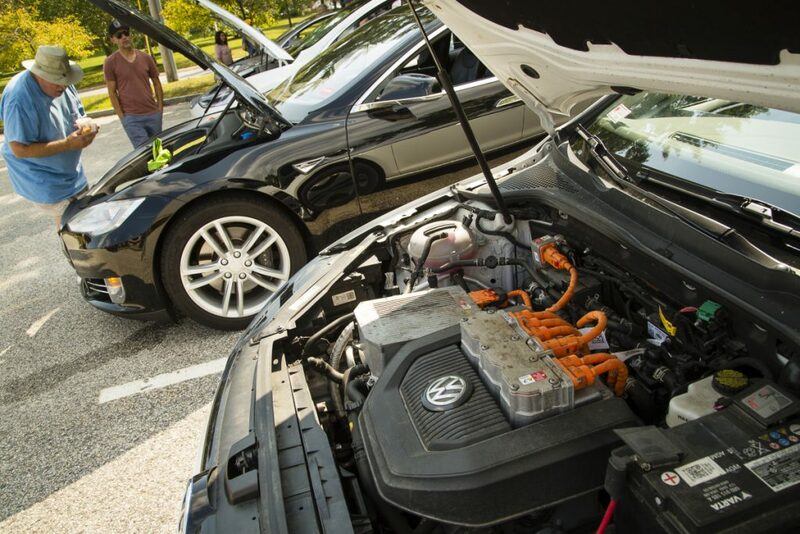 “It’s kind of a nerdy opportunity to get (electric vehicle) drivers together and it’s a nice opportunity to educate the public,” said Barry Woods, director of electric vehicle innovation for ReVision Energy. There are more than twice as many electric cars on Maine roads than in 2014, according to the Natural Resources Council of Maine, which last week released the results of its second survey of the state’s 1,300 electric car owners. 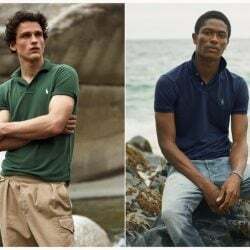 Thirty-three percent of those sent a survey responded. The survey showed that the top two reasons Mainers chose to buy electric cars were to reduce air pollution (76 percent) and to save money on gasoline (50 percent). More than half of the respondents said they save more than $50 per month on gas and another 30 percent save at least $25 per month. Driving a car that uses electricity from the Maine grid is equivalent to driving a gasoline-powered car that gets nearly 110 miles per gallon, according to the Union of Concerned Scientists. According to the survey, 87 percent of electric car owners charge their cars at home, while about 9 percent charge primarily at work. 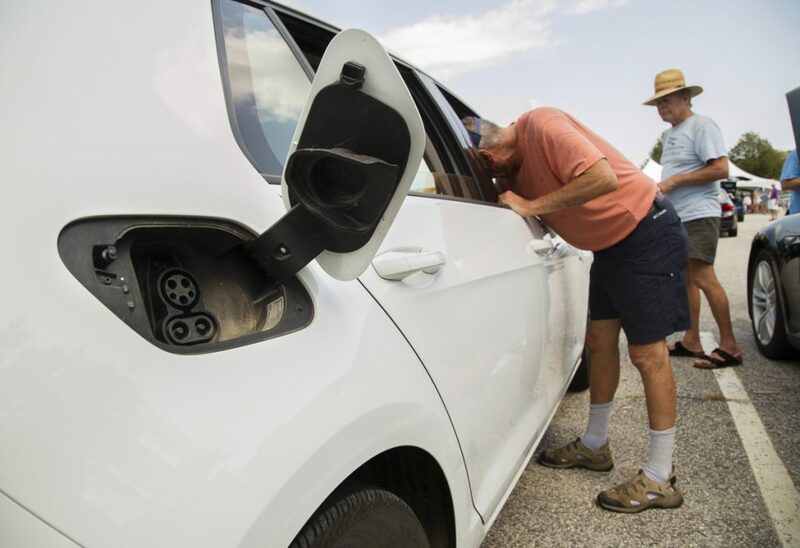 Between 2014 and 2018, the number of drivers using a public charging station at least five times a year quadrupled from 5 percent to around 20 percent, according to the Natural Resources Council of Maine. L.L. Bean has doubled the number of electric car-charging stations at its flagship Freeport store, making it the largest charging station in the state. The company installed eight Tesla super-chargers last summer and added another eight Level II chargers this summer. The charging stations are available at no cost to shoppers and to the public. 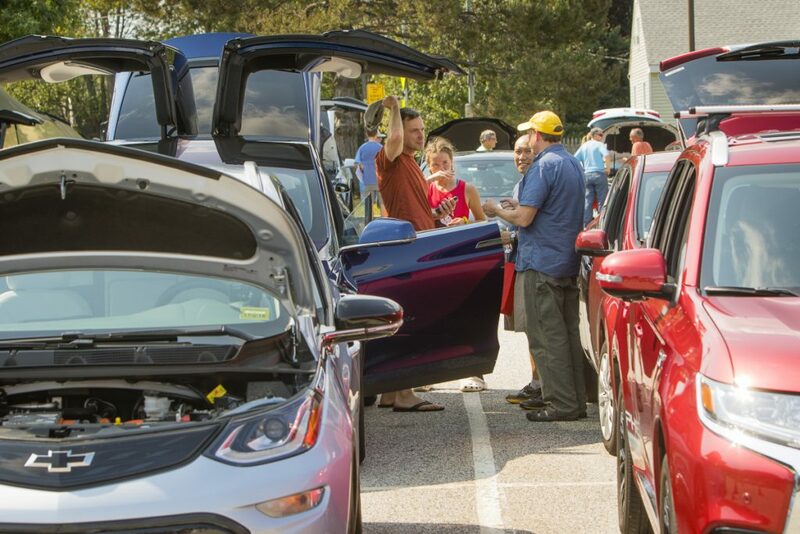 Zizi Vlaun of the Center for Ecology-Based Economy said she has seen a noticeable difference in why people attend the annual electric car events in South Portland and Norway. She believes the availability of more vehicle charging stations in rural areas of the state has made owning an electric vehicle more viable for Mainers. Joel Eckhaus and Donna Doughten of South Portland walked through the community center parking lot Sunday to check out the various models before going on a test drive. Eckhaus said he is committed to switching to an electric vehicle, but it’s just a matter of picking the right one to fit his height. “I’m tired of polluting while I drive,” he said. Camryn Hansen of Portland made the switch to electric after attending last year’s event. She bought a Nissan Leaf, which she said works well for her commute around Portland and fits her family’s commitment to reduce their impact on the environment. 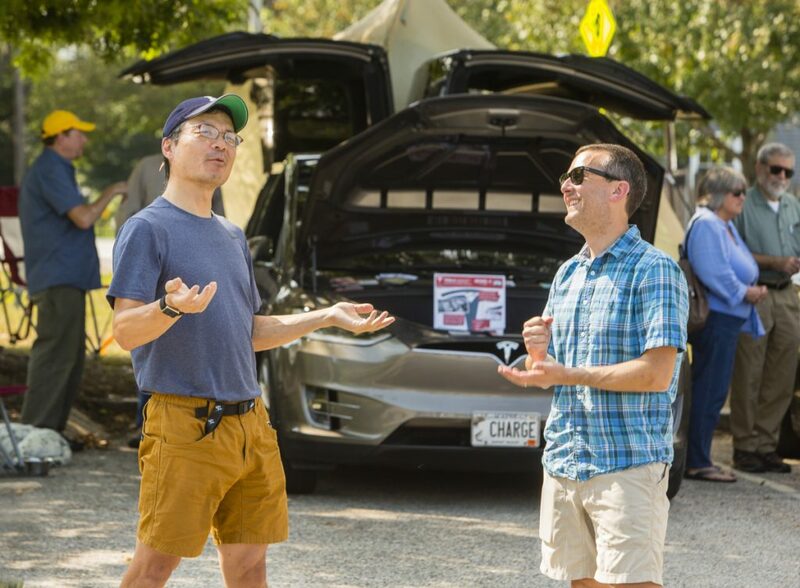 Colin Wright, who owns a Chevy Bolt, volunteered Sunday to organize test drives because he feels it’s important that people get in an electric car, even if they haven’t committed to buying one.